Andrea Carter joined Sophos in 2011, and after six months Andrea stepped up to lead UKI marketing, and has done for the last five and a half years. 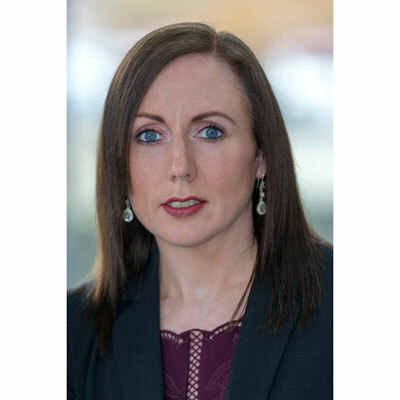 She is not only responsible for the UK and Irelands' marketing strategy, channel marketing programs and go-to-market activities in the UKI, but also global field programs, leading projects that benefit the field marketing across the globe at Sophos. As well as managing a team of marketing professionals, Andrea also manages a telesales team that owns the lead process through to qualified opportunity creation. One hundred percent of these leads are passed to Sophos' reseller channel this team to directly benefit revenue opportunity for partners. Andrea's career spans 18 years, all of which have been spent working in B2B Technology including sales and marketing automation platforms, technology for the education sector and more recently cyber security. Across these industries Andrea has held roles in sales, marketing and international business development. She is a big believer in the importance of synergy between sales and marketing and is passionate about both disciplines. Whist managing international business development for RM Education, Andrea was responsible for identifying, recruiting and enabling resellers across Middle East, India and Africa. In the past year, 27,776 marketing leads have been generated directly by Sophos to benefit our resellers. We have also created and executed strong campaigns that help our partners and end-users become educated on the diverse types of cyber threats, including an integrated ransomware campaign that has a specific webinar education series for partners, along with an end-user series. More specifically, Andrea has directed the launch of our Channel Service Center, offering marketing agency services, free for all Sophos partners globally. In addition, the launch of content syndication, now allows partners to use code to import the award winning Naked Security blog into their websites, along with importing product pages from sophos.com onto their site. This is a great support to those who don't have designated web teams, as we're able to then update and manage these remotely. Andrea strategically allocates the majority of her marketing budget for channel to and channel through programs for UKI resellers. She works incredibly closely with the UKI channel director to ensure that marketing objectives are fully aligned with those of the channel overall for the UK and Ireland. We'll continue to support resellers to raise awareness and drive demand for Sophos products and services. Goals over the coming year include further growth of our MSP Partner program, continued enablement and education for our resellers to fully equip them to get the most from the opportunity and continued development of lead generation tools available via our partner portal. In addition, we will go live with a new platform for requesting MDF funding, making it easier for partners to access support with their marketing efforts and also an online rewards/incentive platform to further motivate sales of Sophos products and services. The UKI region won Sophos Region of the Year for our last financial year due to the outstanding results of UKI Sales and Marketing. In my personal life, my biggest achievement was losing 7 stone and completing several obstacle course races: Monster, Reaper and Wolf which have kept me working hard to get fit. Sheryl Sandberg, COO Facebook, VP Google Highly successful and inspiring as a female leader in technology. I admire her honesty with regard to her own personal experiences and how she has used these experiences to influence change. I loved reading Lean In and admire what she has done for female empowerment. In more recent years the way in which she has dealt with her own personal tragedy and shown resilience which she has then channeled to support others via her book Option B. She is an advocate for equality and a big supporter for women championing other women. "Believe you can and you will." It doesn't matter if you don't know what you want to do for the rest of your life, follow your passion, work hard, do the things you enjoy and the rest will fall into place. Additionally, never pass up an opportunity, even if you're scared or believe you might fail, you'll only regret the things you didn't do. Don't sweat it if you fail, this is all part of the journey. I'd probably also say see the world, look after your health as your physical health has a huge impact on your mental health. Probably the ability to speak additional languages, I am continually humbled by the amazing language skills my colleagues have in other regions and watch them seamlessly switch to English from their native languages. I often pick up a book at the airport when travelling. On a recent business trip to Madrid I purchased a new release, "How to Stop Time" by Matt Haig. I enjoyed it because the overall concept makes you consider the positives and negatives of the concept of never aging. I love books that span across the past and present, which this one does so extensively.